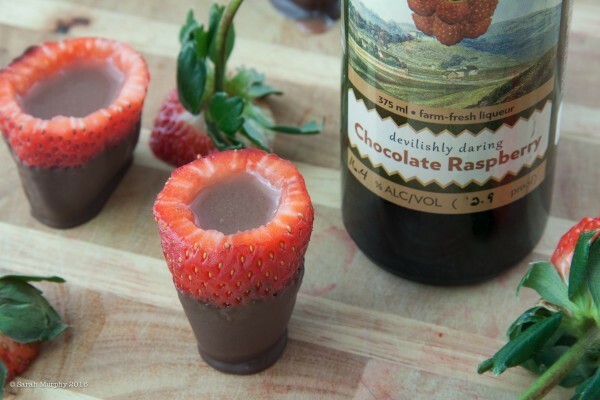 No matter the occasion you can make a dessert a celebration with these edible chocolate covered strawberry shots. 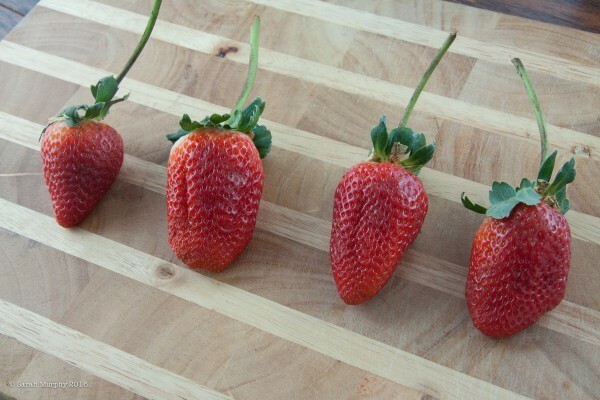 Be sure to find LARGE strawberries. 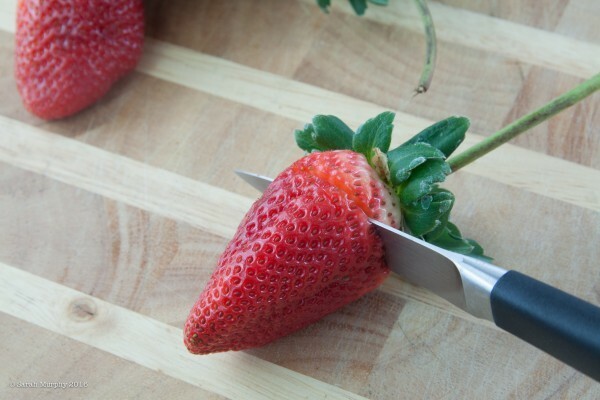 Remember, they will have to hold liquid. 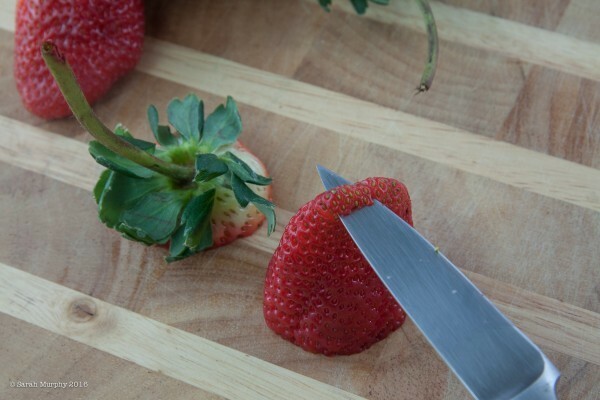 Then remove just enough of the tip so that the berry will stand upright. You might have to shave off a tiny bit more to be sure the berry stands level. 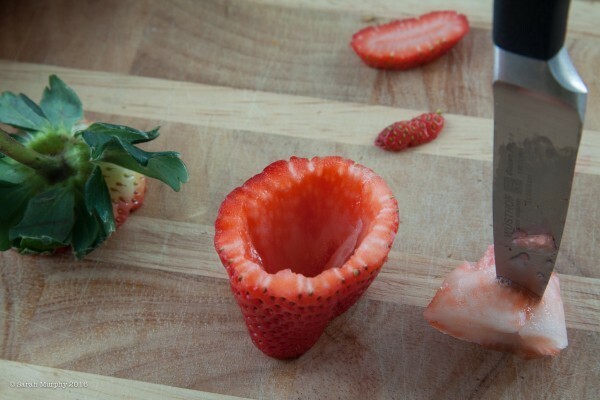 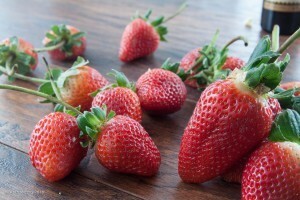 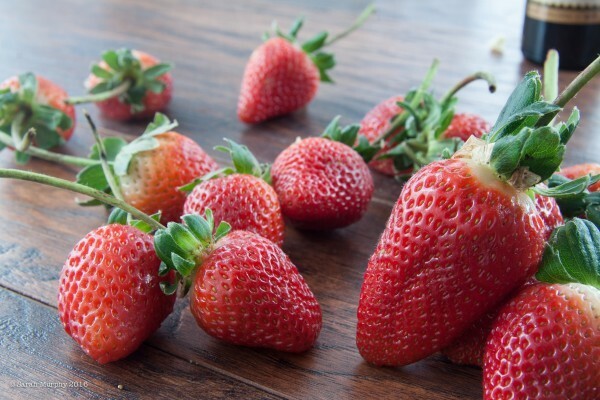 Now you have a strawberry shot glass. 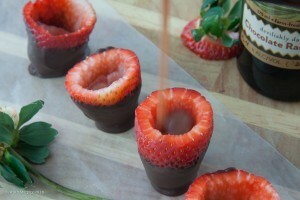 Dip the bottom into melted chocolate. (Microwave chocolate 30 seconds. Stir. 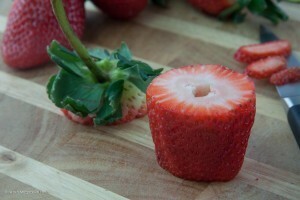 Microwave 30 seconds more. 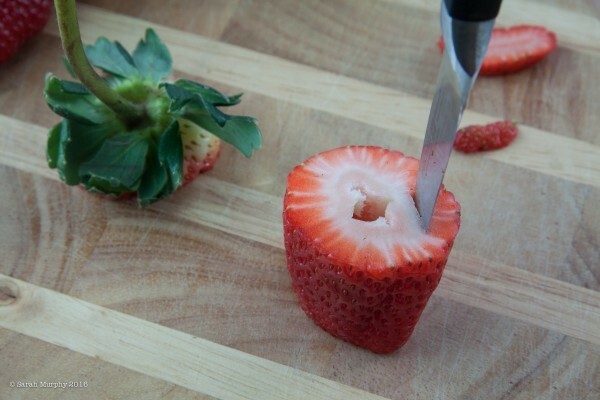 Stir again. 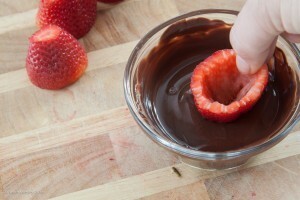 Repeat in 10 second intervals if necessary until chocolate is melted). 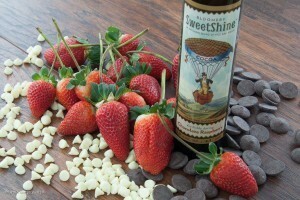 Sit the chocolate coated strawberries chocolate-side-down on wax paper. 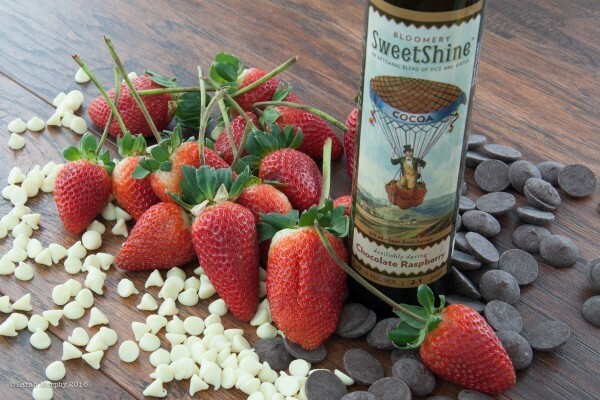 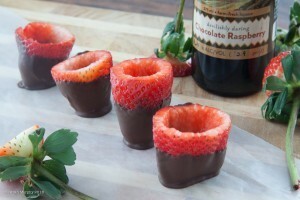 Once the chocolate hardens fill the strawberries with chilled chocolate liqueur. 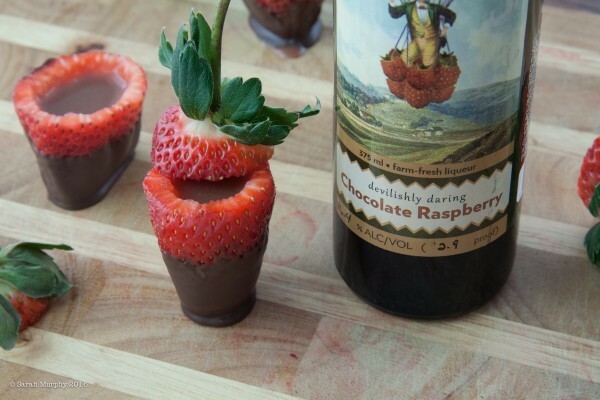 Serving tip: For a little extra fun place the top back on to reveal a boozy surprise inside.